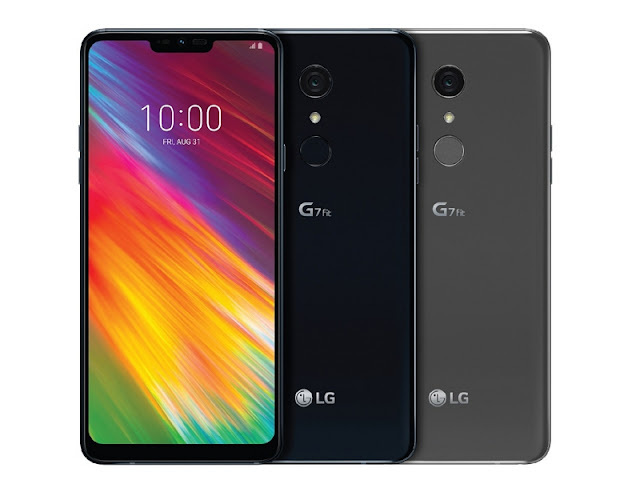 Karachi / Seoul, Nov. 22, 2018 —Consumers in key markets will be able to take ownership of LG’s newest smartphone, the LG G7 Fit, starting this week. Originally unveiled at IFA 2018 in Berlin, the LG G7 Fit was developed for customers interested specifically in high-end camera, display and audio features at a more competitive price point than current flagship offerings. The concept behind the LG G7 Fit was to offer the most popular advanced features from the LG G7 ThinQ without the price. With the same premium all-glass and polished metal rim of the LG G7 ThinQ, the G7 Fit is as tough as it looks with an IP68 rating for dust and water resistance as an added bonus. Powered by the proven Qualcomm Snapdragon 821 and paired with 4GB of RAM and up to 64GB of internal storage, the smartphone is powerful enough for gaming, viewing or listening without any hiccups. The 6.1-inch QHD+ (3120 x 1440) FullVision display sporting 19.5:9 aspect ratio features Super Bright Display LCD technology turbocharged to a maximum 1,000 nits for visibility under even the brightest sun. A host of intelligent camera features highlighted by AI CAM lets LG G7 Fit owners choose from 8 shooting modes optimized by the built-in artificial intelligence. If the AI CAM-recommended image doesn’t meet the user’s expectations, additional effect options can be manually applied in post-processing. And because the LG G7 Fit was designed to deliver LG’s most advanced audio capabilities in one exceptional package, it is the perfect device for the music lover. Featuring LG’s unanimously-lauded 32-bit Hi-Fi Quad DAC for high-quality sound when paired with quality earphones, the G7 Fit also delivers incredible bass with Boombox Speaker as well as virtual 3D sound up to 7.1 channel audio with DTS:X 3D Surround Sound. Beginning this month and continuing throughout the fourth quarter, customers in Europe, Latin America, Asia, Africa and the Middle East will be able to add the G7 Fit to their shortlist of phones to consider.